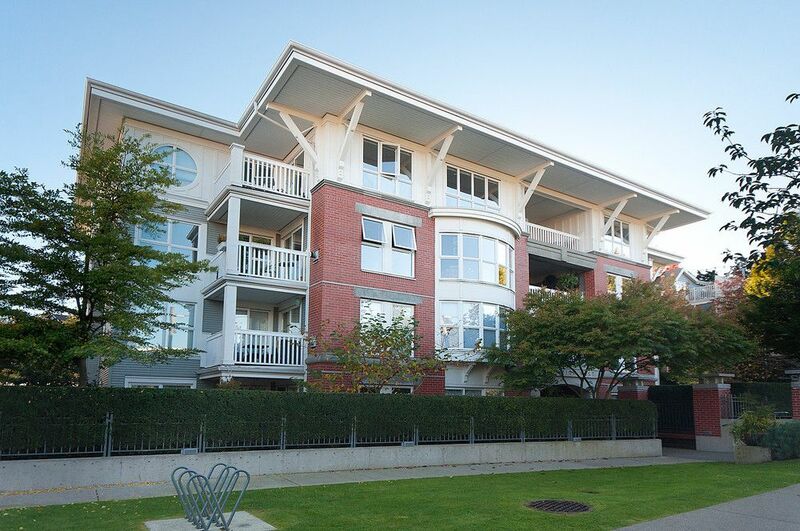 THE GREENWICH in Kitsilano. NW corner suite with outlooks to landscaped garden. 1 bedroom and den with additional flex space. A bright suite with large windows, in-suite laundry & gas fireplace in living room. Open kitchen designand French Door to balcony and garden outlook. Two parking stalls and storage locker as well as common hobby room on the main floor of the building. Great, quiet location. An easy walk to Granville Island, 5th Avenue Cinema and west 4th / Broadway shops and restaurants. PROPERTY IS SOLD, OPEN HOUSE CANCELLED!